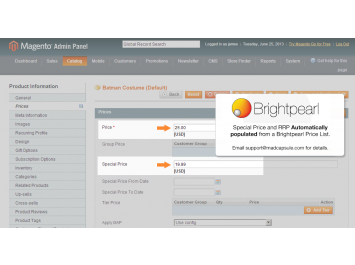 Our Integration Portal for Brightpearl offers a service that populates Magento's Special Price field with any Brightpearl Price List. This process takes place either once or twice a day depending on your requirement . There is a monthly charge for the service. 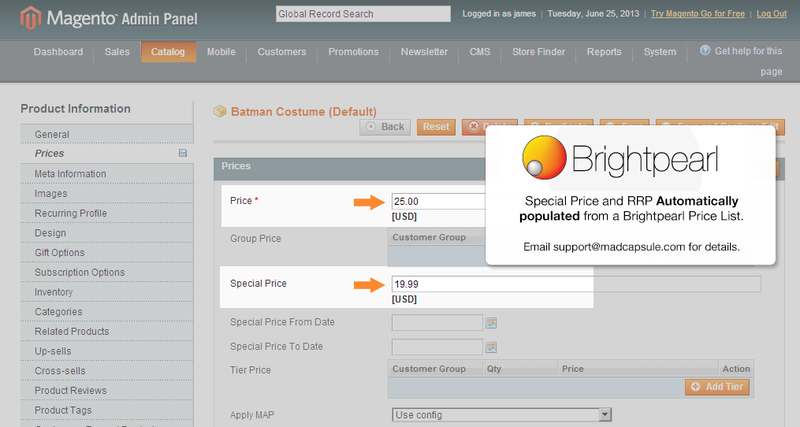 Once you have purchased, we will contact you to confirm your Brightpearl Price List setup and your Magento API details. Not sure it is what you need? Get in touch.